Northbound lanes of Highway 101 near Highway 92 in San Mateo are shut down Friday evening while authorities investigate an officer-involved shooting, according to the California Highway Patrol. Ian Cull reports. 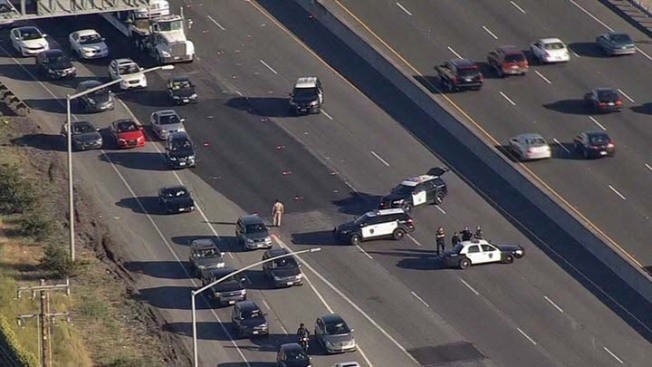 Northbound lanes of Highway 101 near Highway 92 in San Mateo remain closed Friday evening while authorities investigate an officer-involved shooting, according to the California Highway Patrol. Police said one suspect died in the shooting involving three CHP officers, who were not injured. The shooting was reported at around 5:30 p.m. when officers were involved in a confrontation with an armed suspect, police said. 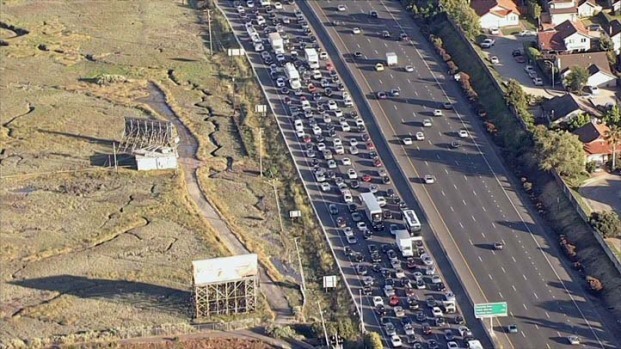 An officer-involved shooting investigation sparked major traffic backups on northbound Highway 101 in San Mateo Friday evening. It is unclear what led up to the shooting, but the three officers were driving in separate patrol cars before they all fired their weapons. Estimates for when the roadway will be reopened have been continuously pushed back since the closure. The latest estimate suggests that lanes could open around midnight, but that time could change. Drivers headed in the northbound direction are being escorted off the roadway at Hillsdale Boulevard. The northbound ramp onto Highway 101 at Hillsdale is also closed. The CHP, San Mateo Police Department and San Mateo County District Attorney's office will be working together during the investigation. 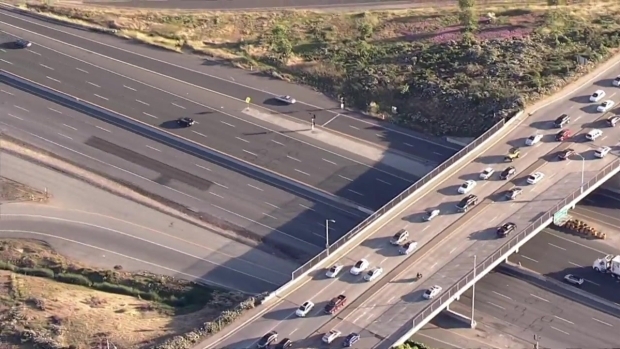 Friday's incident adds to a growing number of freeway shootings in the Bay Area. Last month, police responded to a deadly shooting on Interstate 80 in Richmond and a shooting on Highway 101 in San Jose. The CHP reports at least 85 shootings on Bay Area freeways since November 2015. Officer involved shooting US-101 NB south of SR-92 currently under investigation, we will give more details as they become available.